Dr. Temple Grandin has accomplished much in business, and on the lecture circuit, and deserves applause for her accomplishments.I do not doubt that Dr. Temple Grandin has done much for autism awareness generally over the past 12 years since my son was diagnosed with Autistic Disorder. But awareness of the realities faced by severely autistic adults has not increased noticeably over that time and to some extent has been obscured by Dr. Grandin's accomplishments. Dr. Grandin is an exceptional person of exceptional accomplishment. The key word is exceptional. Claire Danes is receiving acclaim for portraying Dr. Grandin. And there ends public knowledge of adults with autism disorders. For many in the public Dr. Grandin, as represented by the beautiful Ms. Danes is the face of autism. Ms Danes is a talented and beautiful woman, by any measure, but the reality of autism is not so beautiful and the reality of severe adult autism is in fact brutally ugly with many severely autistic adults living their lives in institutional care and ignored, except for brief flashes, by media and public. 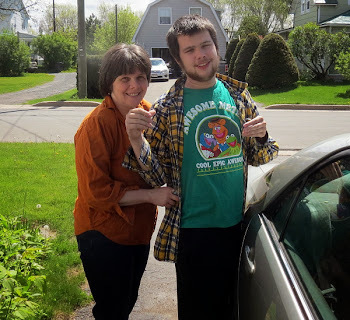 The media gets involved, as it did recently, in the case of the Nova Scotia autistic man who was kept locked in his room for weeks where he was, despite camera surveillance, left by staff to urinate in a corner. 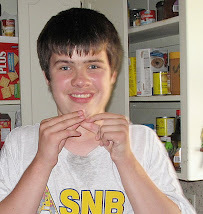 6 years ago an autistic New Brunswick youth was kept on the grounds of a youth correctional facility despite not having committed an offense or not having been charged with an offense because there was simply no where else to keep him. He was shipped out of the country to a US facility. Years before that an adult New Brunswick man was kept in a psychiatric facility before being shipped out of the country to the Spurwink facility in neighboring Maine in the US. The headlines fade, as they usually do, and there is no movie or book industry or interest group lobby to keep the ugly realities of life for severely challenged autistic adults in the public mind. And little, very little, changes for those autistic adults for whom even one of the most basic of decencies, a pot in which to pee, is not always assured. 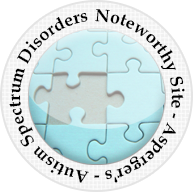 The DSM-5 will merge the disorders now commonly referred to as Autism Spectrum Disorders into one diagnosis of Autism Spectrum Disorder and will divide that spectrum by severity levels. The severity levels are Level 1 - Requiring Support, Level 2 - Requiring Substantial Support, and Level 3 - Requiring Very Substantial Support. Intellectual Disability, as expected, is not mentioned in this classification scheme even though it is obvious that Intellectual Disability will be common amongst persons with Level 3 Autism Spectrum Disorder and non-existent in the Level 1 ASD where most persons currently diagnosed with Aspergers will be reclassified. I believe that the failure to acknowledge fully the relationship between Intellectual Disability and Autism Disorders is a form of Intellectual Dishonesty. As long as we continue to ignore the ID Pink Elephant in the Autism Spectrum we will never conduct the research necessary to fully understand autism disorders. The Intellectual Dishonesty of omitting express reference to Intellectual Disability aside though, the division of the New Autism Spectrum Disorder into severity levels based on the levels of support required to function should at least help remove some of the romantic veneer with which autism disorders have been coated by various Neurodiversity and purported autism self advocates over the last two decades. There is no reason to take joy in discovering that you, or your child, have an impaired functioning level requiring support, substantial support or very substantial support. It is hard to glorify autism disorders in those terms. Despite my misgivings about the New Autism Spectrum Disorder, I have to acknowledge that the New ASD may at least be a start toward a more realistic approach to public discussion of autism disorders. It is hard to tell at this time though whether it will be a substantial start or a very substantial start towards a reality based approach to autism disorders. With the January 26, 2011, revision of the new Autism Spectrum Disorder category in the DSM-5 will some high functioning persons who currently have an Autism or Aspergers diagnosis actually lose their autism diagnosis because they do not meet criteria D,"limited and impaired daily functioning", of the 4 ASD mandatory criteria? Will some well known, self described, autism self advocates lose their autism diagnosis when the DSM-5 is published? Can persons capable of raising a family, performing in rock bands, driving land rovers, running successful businesses, serving on the boards and committees of organizations such as ASAN, Autism Speaks and the IACC, graduating with university degrees, appearing before high appellate courts and government committees, publishing books, conducting research, and appearing in print and broadcast media interviews truly be considered to be limited and impaired in their everyday functioning? Will ANY members of the ASAN Board of Directors be considered to be limited and impaired in their everyday functioning? Look for some intense reaction to the limited and impaired everyday functioning requirement. 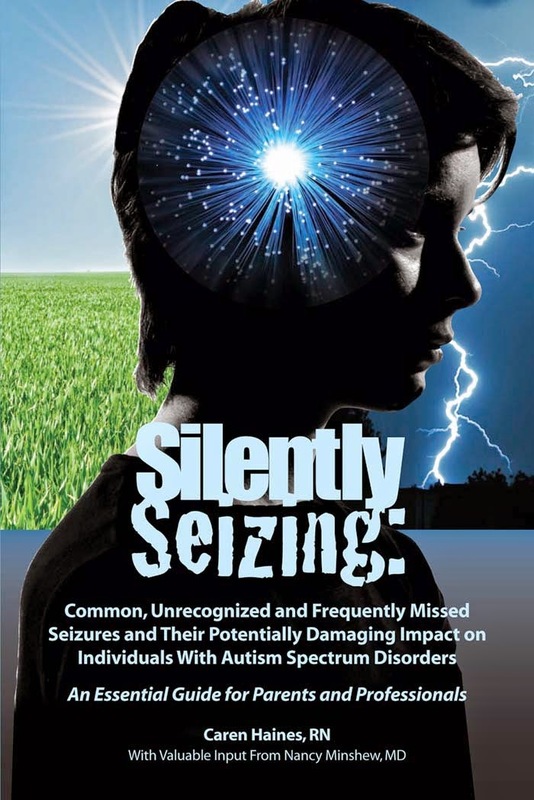 Do not be surprised to see a high pressure campaign to eliminate criteria D.
Michael Szpir's article Tracing the Origins of Autism: A Spectrum of New Studies is full open access [Copyright This is an Open Access article: verbatim copying and redistribution of this article are permitted in all media for any purpose] at Environmental Health Perspectives. Given it's lack of restrictions on use and reproduction I have reprinted it here in its entirety. 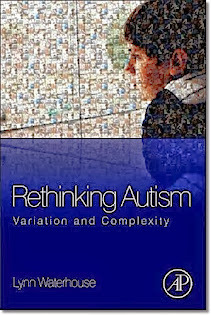 Notwithstanding it was published in 2006 I recommend it for anyone interested in the autism paradigm shift currently underway, albeit slowly, from the faith like, "it's gotta be genetic", 100% genetic model, which has simply and totally failed to explain what is happening with autism disorders to a more rational, gene environment interaction model. Szpir reviews some of the important studies and includes commentary from gene environment focused autism researchers including Dr. Irva Hertz-Picciotto, a leading light in the shift to a gene environment model of autism. The etiology of a medical condition might seem an unlikely subject to arouse intense feelings. Yet few medical disorders have stirred up as much passion and divisiveness among scientists and the general public as autism has in recent years. The heat of the controversy has even attracted attention from periodicals such as The Wall Street Journal, the Columbia Journalism Review, and Wired magazine—seemingly improbable forums for a medical debate. Why all the furor? At the eye of the storm is the startling climb in the numbers of children who have been diagnosed with one of the autism spectrum disorders (ASDs). The most severe ASD is autistic disorder (which often is called simply “autism”); other forms include Asperger syndrome and the much rarer childhood disintegrative disorder. In the United States, the diagnosis of ASDs increased roughly 10-fold over the course of a decade, from 4–5 children per 10,000 in the 1980s to 30–60 children per 10,000 in the 1990s, according to a report in the August 2003 Journal of Autism and Developmental Disorders. The 5 May 2006 issue of Morbidity and Mortality Weekly Report describes the results of two parent surveys from 2003 and 2004, which suggested that 55–57 children per 10,000 had autism (however, an editorial note points out that, due to the nature of the surveys, parents of children with other ASDs may have reported their children as having autistic disorder). The prevalence of ASDs plays into the fundamental question of what causes these disorders. If the number of cases is truly on the rise, then it would seem likely that some change in the environment is driving up the total. That’s partly what has divided scientists into opposing camps—they cannot agree on the relative importance of genetic and environmental factors in the disorders’ etiology. Alas, answering the prevalence question might not end that debate. “Even if the prevalence of autism were stable,” says Lipkin, “you would not be able to rule out the possibility of an environmental trigger.” That’s because very little is known about the mechanisms that cause autism, be they environmental or genetic. “The study of autism was, until recently, largely dominated by the field of psychology, where characterizing the behaviors and developing reliable instruments for diagnosis have been major areas of research over the past few decades,” says Irva Hertz-Picciotto, an epidemiologist at the University of California, Davis. Indeed, the core symptoms of ASDs—social disinterest, repetitive and overly focused behavior, and problems in communication, usually appearing before 3 years of age—have been well described. Much less research has focused on the causes of these symptoms. Several investigations dating back to the 1970s indicate that identical twins have a much higher concordance rate of ASDs than fraternal twins, according to a report in the Spring 1998 issue of Mental Retardation and Developmental Disabilities Research Reviews. Those studies provide some of the best evidence that these disorders have a strong genetic component. But the identity of the genes involved, much less how they produce ASDs, has not been established. 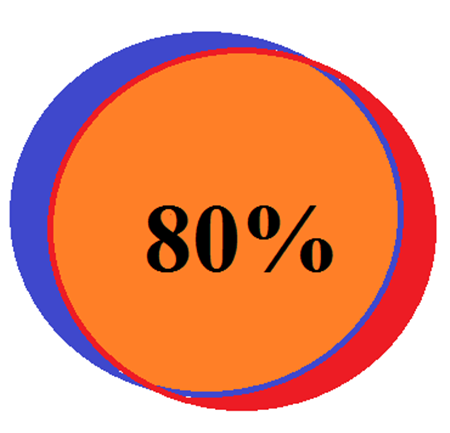 Moreover, the concordance rate for identical twins is not 100%, which suggests that at least some cases must be associated with environmental or epigenetic factors. A few cases of ASDs have been clearly linked to environmental insults. These include prenatal exposure to chemical agents such as thalidomide and valproic acid, as well as to infectious agents such as the rubella and influenza viruses. Here again, the concordance rate is not 100%, which suggests that a genetic predisposition is necessary for chemical and microbial factors to act as triggers. Tantalizing clues like these are prompting scientists to reconsider the research agenda for ASDs. Martha Herbert, a pediatric neurologist at Harvard Medical School, and her colleagues have been applying the methods of genomics to identify environmentally responsive genes that might be important in these disorders. “When you realize that the widespread changes we’re seeing in autistic brains may occur in parallel with or even downstream from widespread changes in the body—such as in the immune system—and that these changes may be environmentally triggered, you start looking for ways to think more broadly about genetic vulnerability. It can’t be just about ‘brain genes,’” Herbert says. Some new epidemiological studies also are looking for gene–environment interactions. According to Diana Schendel, an epidemiologist and project officer for autism research at the CDC, which funds one of the projects, these initiatives will be able to examine many possible causal pathways to ASDs, including both genetic and environmental causes that may lead to the development of the disorders in different subgroups of children. Some of these projects are already under way, whereas others will begin soon. All of the scientists involved, however, believe their research will finally provide some of the answers that everyone has been looking for. The Childhood Autism Risks from Genetics and the Environment (CHARGE) project is unique among the large ASD epidemiological studies. It focuses solely on autistic disorder, and it emphasizes a search for environmental factors—including a broad array of chemicals in food, consumer products, and ambient air, as well as infectious and medical exposures—that might be linked to the disorder. The study is funded by the NIH. The project was initiated in 2002 with the goal of recruiting 1,000 to 2,000 children. Half of the children will be autistic. The other half will make up two control groups: one group of children with developmental delays (but not an ASD) and a second group of children selected from the general population without regard to developmental characteristics. The advantage of the case–control design is that scientists can acquire large numbers of children with the disorder. By comparison, in a cohort design researchers would need a very large sample size, given the prevalence of autism, to acquire the same number of cases. The CHARGE team is looking at possible exposures during the prenatal period and early childhood. Some of the data will be gathered through comprehensive interviews with parents, but Hertz-Picciotto admits that this is not the best way to look for exposures. “You ask people questions, and their answers may be colored by the fact that they know they have a child with a condition,” she says. “They may spend a lot of time thinking about what they might have done or what might have gone wrong, and they may have preconceived ideas about what caused [the disorder]. They might not be as objective.” Such problems with postdiagnosis interview information are recognized as a weakness of retrospective studies. The scientists are getting around this issue by examining each child’s medical records and those of the mother during pregnancy and delivery—nonsubjective data gathered in the course of routine obstetric care. They are also collecting blood, urine, and hair specimens that will be analyzed in the laboratory. The Autism Birth Cohort (ABC) Study, now under way in Norway, is a large prospective design that is expected to gather information on 100,000 babies. The work is being led by scientists at the Mailman School of Public Health at Columbia University, who are collaborating with colleagues at the Norwegian Institute of Public Health, with funding from the U.S. National Institute of Neurological Disorders and Stroke. “When you want to know why some people are more at risk than others in a population, then that’s best answered using a cohort design,” says Ezra Susser, an epidemiologist at Columbia University and a co-investigator on the ABC project. “When we think about environmental causes of [ASDs], we’re probably interested in phenomena that occur prior to birth or perhaps shortly after birth. So you want to collect prospective data from people as early as possible in pregnancy.” Because ASDs are not common, the study will need large numbers of children to have enough statistical power, according to Susser. So far the ABC team has recruited 75,000 pregnant Norwegian mothers, but Susser is hoping for more. “We’ve got enough to look for an environmental risk factor, but you need larger numbers for studying gene–environment interactions, which could turn out to be important,” he says. It’s possible the team could acquire greater numbers by collaborating with other studies. One candidate for collaboration is the Avon Longitudinal Study of Parents and Children in the United Kingdom, which is looking at the complex ways in which environmental features may relate to optimal development and health in children. But there’s been no agreement yet, Susser says. The scientists are also collecting plasma, serum, RNA, and DNA. “We have extraordinary biological materials,” says Lipkin. “We can pursue biomarkers as well as exposure to toxicants and infection. We also have maternal DNA, paternal DNA, and the child’s DNA [so-called trio data]; thus we can look for the appearance of novel mutations,” he adds. The ABC researchers will follow the children through time, with parents answering questionnaires about the health and social interactions of their children as they reach 6, 18, and 36 months of age. “It may be that the developmental trajectory tells us much more than a single time point can ever tell us about the pathogenesis of [ASDs],” says Mady Hornig, a physician-scientist at Columbia University who participates in the project. Despite their enthusiasm for the project’s potential, the ABC scientists feel they could accomplish much more if they only had the funding. “The pity of it is we have no money to do the biological work,” says Lipkin. “We can collect the samples and do the questionnaires, but we’ve been unable to get funding to look for any of the environmental factors. We’re collecting blood, but we won’t know whether there’s a biomarker until we do a biomarker analysis. We have funds to collect RNA, but in order to do the transcript profiling we need approximately four hundred dollars per sample,” he says. Lipkin adds that there’s only so much that one can do with questionnaire data. “We do ask about infection and diet, but that’s not the same as having a lab value that can validate what was reported, and then look at a direct correlation with the outcome,” he says. Lipkin believes that part of the problem is that searching for environmental factors goes against the current research paradigm in ASDs. “The focus is on genetic factors,” he says. “Infectious diseases, toxicology, and immunology receive short shrift. The ABC is clearly the right opportunity to pursue these other leads because we have the ideal samples to survey prenatally and postnatally,” he says. The scientists are just now receiving the responses to the 36-month questionnaire. “It’ll probably be another two years before we have our first report,” Hornig says. Funds are now in place to study the children at 36 months; however, the team hopes to follow them for a lifetime, according to Hornig. In response to the Children’s Health Act of 2000, the CDC established and funds six Centers for Autism and Developmental Disabilities Research and Epidemiology (CADDRE) to investigate potential risk factors for ASDs. The multisite approach offers a study group that is geographically and demographically more representative of the general U.S. population than a smaller regional study could provide, according to Craig Newschaffer, an epidemiologist and principal investigator at the Johns Hopkins Bloomberg School of Public Health CADDRE site. According to Newschaffer, the CADDRE sites will use a case cohort design in which the exposure patterns of the ASD cases are compared to a random sample of children living in the same geographic area. A third study group, consisting of neurodevelopmentally impaired children who do not have an ASD, will round out the sample populations. The investigators hope to enroll a total of 650 to 900 children, aged 3 to 5 years, in each study group across all the sites, making CADDRE the largest study of its kind in the United States, says Newschaffer. A uniform protocol across the sites will allow the scientists to pool their data. The scientists should have sufficient numbers to look at gene–environment interactions. “We are collecting DNA from the parents and the kids from each of the groups. We’ll have trio data in each of the three groups, a potentially powerful design,” says Newschaffer. CADDRE scientists will also characterize the behavior of the children, as well as describe any comorbid medical conditions and atypical physical features. The goal is to sort out different etiologic subgroups within the autism spectrum. As Newschaffer explains, “There are a lot of possible reasons why we’ve had a hard time coming up with genetic and nongenetic risk factors. One of them is that autism is likely a heterogeneous condition, with different etiologies producing kids with what appear to be similar phenotypic profiles. If you don’t separate out the different etiologic groups, it’s going to be very hard to find an association with a gene or an exposure. If we limit our analyses to kids that have a certain profile, we’re going to be able to make some informed guesses about what profiles might allow risk factors to emerge,” he says. The CADDRE sites will begin recruiting children into the study in the fall of 2006. There are several other smaller epidemiological studies in the works. In California, scientists are tapping into specimen banks that have stored blood samples taken from mothers during pregnancy and from their children at birth. The Early Markers for Autism (EMA) study employs a case–control design, with about 100 children with an ASD (primarily autism), 100 who are developmentally delayed, and 200 from the general population. “We can correlate what’s happening in the mom and the baby, which is really exciting,” says Lisa Croen, a perinatal epidemiologist at the Kaiser Permanente Division of Research in California and the project’s principal investigator. EMA is a multidisciplinary collaboration with epidemiologists, geneticists, immunologists, neurovirologists, and endocrinologists, according to Croen. “Because autism is so complex, it’s important for all these researchers to communicate with each other. I think EMA is a model for how to do research in autism,” she says. EMA is unique, according to Croen, because the study will be looking for biological markers of ASDs very early in development, during gestation, and at birth. “This allows us to focus on mechanisms that may be leading to autism rather than mechanisms that are consequences of having autism,” she says. Croen is also an investigator on the California Autism Twin Study (CATS), which expects to recruit 300 identical and fraternal twin pairs born between 1987 and 1999 in which at least one of the twins has an ASD. Comparing the twin pairs will allow the scientists to estimate the heritability of ASDs—the relative genetic and environmental contributions to the disorder. “Knowing the behavioral and developmental differences between the twins might help us understand the effects of gene expression, the in utero environment, and environmental triggers,” Croen says. Hertz-Picciotto is also excited about a five-year study that she and her colleagues hope to begin soon. Unlike CHARGE, the new effort, called MARBLES (Markers for Autism Risk in Babies—Learning Early Signs), will be a prospective study in which data will be gathered before the children are diagnosed. Pregnant women who already have at least one child with autism will be enrolled right at the beginning of pregnancy. The mothers will keep diaries about their symptoms and health-related events, and the researchers will collect cord blood samples and placentas. 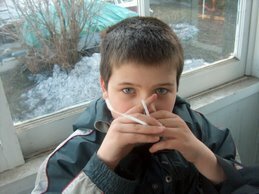 Based on previous research, Hertz-Picciotto expects that about 1 in 10 siblings of the autistic children will also have the disorder, and perhaps 1 in 4 or 5 will be “on spectrum” with a related but less severe condition such as Asperger syndrome, or with some symptoms of the broad behavioral phenotype, such as language delays and atypical social skills. “This work is complementary to the case–control approach, and should provide us with a lot of information that will build on what we find in CHARGE. It should be a phenomenal resource,” she says. In April 2004, the U.S. DHHS issued a publication, Congressional Appropriations Committee Report on the State of Autism Research, describing recommendations made by a panel of expert scientists convened by the Interagency Autism Coordinating Committee (IACC). The IACC panel suggested an ambitious agenda, which included the goal of identifying environmental risk factors and their associated developmental windows within a four- to six-year period, as well as identifying genetic and nongenetic causes of ASDs and their interactions within seven to ten years. Hertz-Picciotto, a member of the IACC panel, thinks these goals should be taken with a grain of salt. “I’m optimistic that we will have identified some environmental risk factors, and may have excluded a few others, between 2008 and 2010—but by no means will we have the final word. The genetics and the gene–environment interactions may be even tougher. Unfortunately, I don’t see enough groups working on the environmental contribution to autism, so it may be slower than projected,” she says. "Overall, this evidence supports the notion that mitochondrial dysfunction is associated with ASD. Additional studies are needed to further define the role of mitochondrial dysfunction in ASD." Hopefully the study will actually be assessed and discussed on its merits. MELBOURNE, Fla., Jan. 25, 2011 /PRNewswire/ -- According to a study published in Molecular Psychiatry by Dr. Daniel Rossignol (International Child Development Resource Center, Melbourne FL, Aid for Autism) and Dr. Richard Frye (University of Texas), children with autism are more likely to have abnormal function of a key part of the cell called the mitochondria (http://www.nature.com/mp/journal/vaop/ncurrent/full/mp2010136a.html). 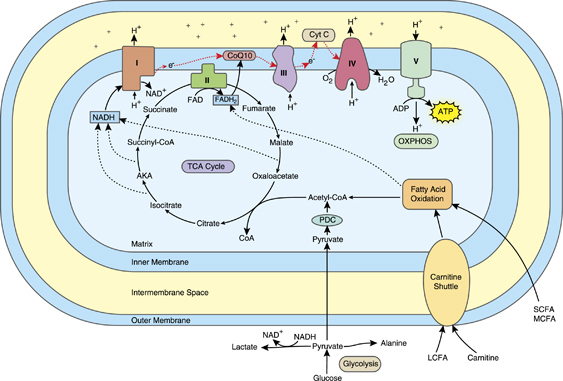 Mitochondria are best known for producing energy for the cell from oxygen and food. Because of its role in energy production, children with mitochondrial disease are known to have dysfunction in high energy organs, such as the brain. The investigators found that 1 out of 20 children with autism have been found to have severe mitochondrial disease, compared to approximately 1 out of 10,000 individuals in the general population. In addition, the study points out that a much wider number of children with autism, possibly one-third of children with autism, might have milder mitochondrial dysfunction. Other intriguing findings of this review included that children with autism who also have mitochondrial problems are more likely to develop relatively normally early in life and then lose previously acquired skills, and to have other medical disorders such as seizures and gastrointestinal abnormalities. The review also identified the wide array of blood markers that have been used to identify children with autism and mitochondrial dysfunction. These blood markers may help physicians identify mitochondrial dysfunction in children with autism. The review also found that only 19% of children with autism and mitochondrial dysfunction had an identifiable genetic abnormality that could account for the dysfunction. This finding suggests that other factors, such as toxins found in the environment and other stressors, contribute to mitochondrial dysfunction in children with autism. "Because mitochondria are central to so many cellular processes, abnormalities in many different physiological processes such as inflammation and/or oxidative stress, genetic abnormalities and exposures to toxins can lead to mitochondrial dysfunction. This suggests that mitochondrial dysfunction could be the final common disease pathway that results in brain dysfunction as a consequence of many divergent causes. This can explain how the various different physiological and genetic abnormalities and toxic exposures, which have all been linked to autism, could result in the same disease," said Dr. Frye. To my knowledge no one has ever accused anti-ABA activist Michelle Dawson of shying away from the spotlight and Michelle Dawson is back where she has been so often ... in the CBC spotlight. Once again she is peddling, in the name of science, ethics and "autistic people", her anti-ABA rhetoric. Ms Dawson repeats previous sermons in which she preaches that provision of ABA interventions for autistic children lacks scientific support and is unethical. She offers nothing to back up her opinions. The CBC offers little help in that regard beyond pointing out that Ms Dawson is autistic, is a researcher and is, allegedly, an autism"expert". "Autism expert Michelle Dawson says the Quebec government is wasting its money by funding "Applied Behavioural Analysis", known as ABA — a program she calls ineffective. ABA is designed to reinforce behaviour through repetition. Dawson, who has autism, says she has evidence that the approach doesn't deliver what it promises. The program doesn't optimize the overall wellbeing of people with autism, said Dawson, who researches the neurodevelopment disorder at the University of Montreal. "In ABA you have the problem that these parents have been told by everybody, including by governments, if your child doesn't get this intervention, they're to some degree down the drain," she said. ABA is one of the few treatments the Quebec government will finance. "It doesn't have anything to do with science or ethics, or when you look at the well being of autistic people. It's just really effective lobbying by some people, including people who have pretty extensive conflicts of interest, or even they just are true believers, they have very strong beliefs in certain approaches, or very strong beliefs about autistic people that aren't necessarily grounded in science or ethics," Dawson said." The CBC should do more homework on the subject before, yet again, giving Michelle Dawson a platform to promote the same tired anti-ABA beliefs that launched her into national fame in Canada. If it's journalists are too busy to read some of the many reviews, from the US Surgeon General to the MADSEC Autism review to the American Academy of Pediatrics which have endorsed ABA as the most effective evidence backed intervention for autistic children they could at least check with some of the actual autism experts and health authorities that she demeans before again giving her the CBC pulpit to promote her beliefs. "This article presents a case study in the misrepresentation of applied behavior analysis for autism based on Morton Ann Gernsbacher’s presentation of a lecture titled ‘‘The Science of Autism: Beyond the Myths and Misconceptions.’’ Her misrepresentations involve the characterization of applied behavior analysis, descriptions of practice guidelines, reviews of the treatment literature, presentations of the clinical trials research, and conclusions about those trials (e.g., children’s improvements are due to development, not applied behavior analysis). The article also reviews applied behavior analysis’ professional endorsements and research support, and addresses issues in professional conduct. It ends by noting the deleterious effects that misrepresenting any research on autism (e.g., biological, developmental, behavioral) have on our understanding and treating it in a transdisciplinary context. Sentiment against applied behavior analysis is not, of course, necessarily anti science. No matter what Gernsbacher’s sentiments may be, her achievements are anything but anti science.What stunned me, then, was how she reached her conclusions: She inaccurately represented research reviews, wrongly characterized applied behavior-analytic interventions, misleadingly appealed to history, inaccurately conveyed research designs, selectively omitted research results, and incorrectly interpreted intervention outcomes. Although misrepresentations often only a minor nuisance in science, they can have harmful consequences, which I believe hers did (and do), both locally and more broadly. The local consequences included misinforming KU’s community members about ABA-EIBI; hundreds of KU students about a science of behavior and its application; current and prospective ABS majors about course of study at KU (and careers); and KU staff, faculty, and administrators about scholarship in a department renowned for its research in applied behavior analysis. The broader consequences include Gernsbacher’s probable influence on behavioral, social, and cognitive scientists who teach, conduct research, and provide services in autism; funding agencies and foundations who set priorities and allocate resources for autism research and applications; and state and federal agencies that set standards for autism services and funding. She has standing and stature in most, if not all, of these venues: in APS, of course, but also in the American Association for the Advancement of Science (AAAS), where she is a psychology section member at large, and in the National Science Foundation (NSF), where she is on the Advisory Committee for the Social, Behavioral, and Economic Sciences. Although Gernsbacher surely gained these highly respected positions by conducting first-rate science, the hallmarks of her science were largely absent in this section of her lecture. "Mainly, though, I wrote it for the families of children with autism and, ultimately, for those children who need and deserve evidence-based treatments, of which ABA-EIBI so far has the best support. Unfortunately, many parents are dissuaded from using it by misinformed, misguided, or misleading advocates of other approaches. As a result, they often use these approaches until they see their children’s poor progress. When they begin using ABA-EIBI to good effect, they speak of their great regret and guilt for not having used it earlier, when their children had the most to gain and the most time to make those gains. The opportunity cost of not using ABA-EIBI, or any equally effective intervention, is that their children will be delayed in achieving their full potential or never achieve it at all. As a result, their children will need more supportive services and institutionalization later into their lives and perhaps for the rest of their lives at significant personal and social costs to them, and financial costs to us all. This is a crime." "The effectiveness of ABA-based intervention in ASDs has been well documented through 5 decades of research by using single-subject methodology21,25,27,28 and in controlled studies of comprehensive early intensive behavioral intervention programs in university and community settings.29–40 Children who receive early intensive behavioral treatment have been shown to make substantial, sustained gains in IQ, language, academic performance, and adaptive behavior as well as some measures of social behavior, and their outcomes have been significantly better than those of children in control groups.31–4"
The observed rate of co-occurrence among some disorders is so high that it demands explanation. Hypotheses, which are not mutually exclusive, include the possibilities that 1) the co-occurring disorders represent divergent expressions of at least partly shared risk factors, 2) one disorder plays a causal role in another, just as nicotine addiction plays a causal role in lung cancer, and 3) disorder boundaries in the DSM system are badly enough drawn that at least some of the comorbidity is an artifact of giving one illness multiple names. Autism disorders (excluding Asperger's Disorder) and Intellectual Disability have very high rates of co-occurence a fact which, in the words of Dr. Hyman, demands explanation. Even as the DSM-5 drafters move to separate intellectual disability references from the descriptions of autistic disorder it is important in the real world, it is important for the very many children and adults with severe autism and intellectual disability, that the high rates of comorbidity be explored and explained and not hidden in yet another diagnostic definition shuffle. • Cognitive impairment is present in about 80% of persons diagnosed with Autism and general intellectual functioning is most often below average. Persons diagnosed with Asperger’s Disorder have average to above average intellectual functioning." "Mental retardation. Many children with ASD have some degree of mental impairment. When tested, some areas of ability may be normal, while others may be especially weak. For example, a child with ASD may do well on the parts of the test that measure visual skills but earn low scores on the language subtests." Surely the occurrence of intellectual disability in 80% of persons with non-Asperger's ASD and 41-44% of all persons with any ASD, a figure which includes non cognitively impaired persons with Aspergers, are high rates of co-occurrence which demand explanation. With such important relationships largely unexplored by researchers, with no explanation provided perhaps the learned members of the DSM-5 work teams should put the brakes on their plan to divorce intellectual disability totally from the Autism Spectrum of Disorders. Lets find explanations for the high Autistic Disorder/Intellectual Disability comorbidity rates before hiding the existence of that relationship under new categories in the DSM-5 shell game. The Toronto Star's Heather Mallick, to her credit, writes in Mallick: The autism enigma — beauty and silence about some of the realities and misconceptions about autism. Ms Mallick and the Toronto Star point out that autism is not as pretty as it appears to some, that at the more severe end of the autism spectrum are some people who, without intensive behavioral therapy, can not control their actions and will engage in self injurious behavior like hand biting. This type of candid, honest commentary about autism disorders is rare in the mainstream media which tends to focus on promoting high functioning autistic success stories. The causes of autism disorders are not known. There is little dispute that genetic factors play a significant role. There is also an increasing awareness that environment plays a role and that autism results from gene environment interaction. This understanding should be made known to mainstream media institutions throughout Canada and the United States. That point aside, however, kudos to Heather Mallick and the Toronto Star for presenting autism honestly as what it is, a disorder, one which is not always pretty for those who suffer from it. We had a good turnout Saturday at the Wu Centre for a meeting to re-organize the Autism Society New Brunswick which has been dormant for 2 years after making huge gains in advocating for provision of pre-school and school autism services. The recent New Brunswick provincial election focused almost exclusively on financial and deficit issues with little discussion of social or health services. There will undoubtedly be pressure to cut the autism services currently provided. to pre-schoolers and students. On the adult front it will be very difficult to begin the long overdue task of planning and building an adult autism residential care and treatment facility in New Brunswick. 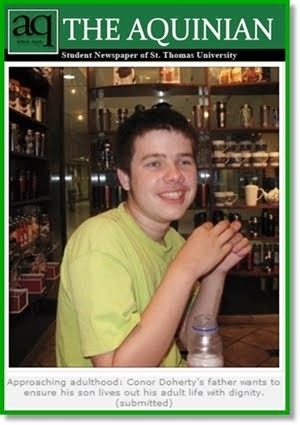 Our group homes do not have autism trained staff or professional oversight. After that it is life in a psychiatric hospital for many of the most severely affected by autism services. 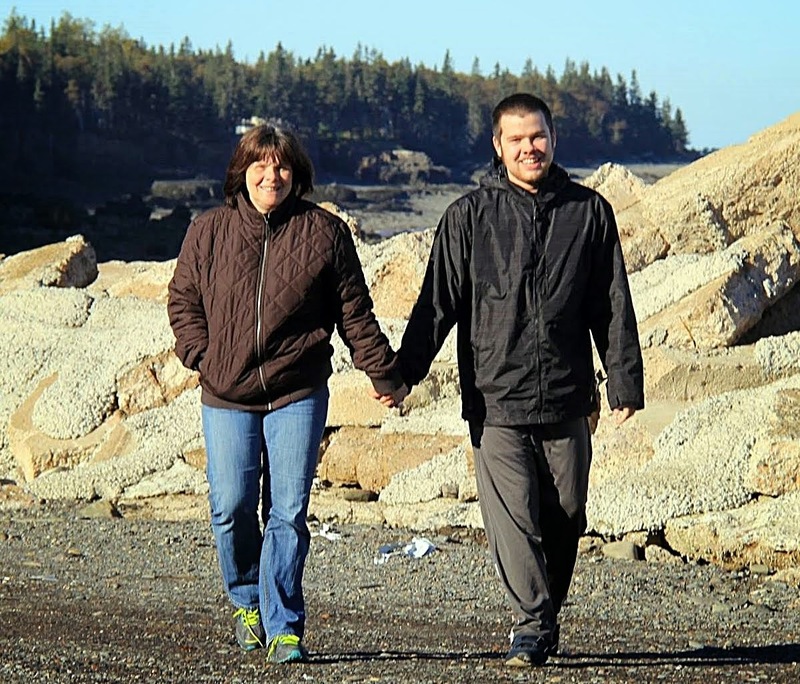 In some cases we literally ship autistic adults out of the province, even out of the country to the facility in Spurwink Maine. "New Brunswick went from having no treatment for autism in the early part of the 2000s to having the best pre-school program in North America, said Dr. Paul McDonnell, professor emeritus of psychology at the University of New Brunswick and a clinical child psychologist with a private practice. Starting in 2004, the provincial government also spent millions of dollars putting autism treatment resources in the public school system, he said. "We've accomplished a lot here," he told the meeting. "It's phenomenal." McDonnell said he has heard of cases of people with autistic children moving to New Brunswick because the system here is so good. There are 844 persons with special training to help children with autism in the preschool and school system and seven autism resource centres across the province. Lila Berry of Miramichi attended Saturday's meeting and strongly supported the renewal of the autism society. "We will lose what we have," she warned. "There will be cutbacks." "That will happen if there is no voice." But once a child with autism leaves school there is little assistance available to families. "We have to address issues that just haven't been addressed, like the adult care issue," said Doherty.He said there was a case in 2005 in which a 13-year-old child with severe autism had to be placed in a visitor's apartment at the Miramichi Youth Centre, which is a correctional facility, because there was nowhere else to house the young person. "We haven't done anything since 2005 since that story made us notorious across Canada," said Doherty. He said New Brunswick spends hundreds of thousands of dollars per person sending young people to a residential autism treatment facility in Maine. That money could be better spent on a residential treatment facility in this province, he said. But he also said he knows it will be a huge challenge to build an autism residential treatment facility during a time of budget restraint." Dr. Tara Kennedy, the developmental pediatrician with the Stan Cassidy Centre for Rehabilitation autism team, was present and was asked for her assessment of autism services in New Brunswick. She concluded her assessment with the following rating: Pre-school autism services - 2 thumbs up, School services - 1 thumb up and 1 thumb down, Adult autism services - 2 thumbs down. Dr. Kennedy's assessment was, in the opinion of this autism dad and advocate, right on the money. We need to work hard to protect our pre-school autism services in difficult financial times. We have to improve our school autism services and we have to begin to build our non-existent adult autism care services. Should Wakefield Be Prosecuted as "Special to CNN" Commentator Advocates? Alex B. Berezow, according to the CNN Opinion site, is the editor of RealClearScience and holds a Ph.D. in microbiology. Mr. Berezow has provided a "special to CNN" opinion in which he argues that Dr. Andrew Wakefield should face criminal prosecution for fraud in the United Kingdom AND in the United States. Alex B. Berezow Ph.D. repeats the accusation published in the BMJ that Wakefield falisfied patient histories in the now retracted Lancet study. "It is for these reasons that Wakefield should be prosecuted to the fullest extent of American and British law. Perhaps if he spends the next few years behind bars, people who have suffered from the impact of his actions will see that justice is being done." Berezow does not consider the other possibility, the possibility that Wakefield is NOT guilty of fraud. This humble small town Canadian lawyer lacks the intellectual brilliance of a microbiologist and CNN commentator, and lacks the ability to get past, as the mainstream media appears to have done, that old fashioned "presumption of innocence" thing. It is not my place to tell authorities in any jurisdiction who they should prosecute, or for what alleged offences. I do not advocate that Dr Wakefield should face prosecution based on the work of journalist Brian Deer or any journal publication. If a prosecution does take place though, as Mr Berezow desires, it would, at least, give Dr. Wakefield an opportunity to answer the allegations. At this time the fraud allegations, remain just that ... allegations, notwithstanding the massive media piling on and promotion of those allegations as though they were proven facts. Will a fraud prosecution happen? Or will unproven fraud allegations continue to be made with abandon in the mainstream media? Dr. Wakefield would obviously lose much if convicted. But the credibility of the BMJ, the Mainstream Media and Brian Berezow would suffer greatly if Dr Wakefield was acquitted or found NOT GUILTY. I am going to guess wildly that no prosecution will occur, that those who allege Wakefield committed fraud are happy to let the Mainstream Media repeat the allegations as fact and let it end at that. 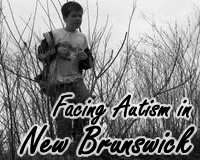 Autism in New Brunswick: Where Are We Now? ASNB is holding an open meeting for anyone affected by autism in New Brunswick. 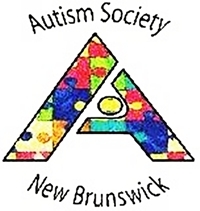 The purpose of the meeting will be two fold: To re-organize the Autism Society New Brunswick, the provincial autism voice that fought very hard for the autism services we currently have in New Brunswick, and to summon the will, in challenging economic times, to ensure a future for autistic children and adults in New Brunswick. ASNB is fortunate to have Dr. Paul McDonnell and Dr. Tara Kennedy addressing those present. Tara Kennedy, MD, PhD, FRCPC, is a Developmental Pediatrician who works with children and families affected by autism in her position as Clinical Leader of Pediatric Autism Rehabilitation Services at the Stan Cassidy Centre for Rehabilitation in Fredericton, New Brunswick. Paul M. McDonnell, Ph.D., is a Professor Emeritus (Psychology) at UNB and a clinical child psychologist with a private practice who has helped many autistic children directly and indirectly by guiding the parents who fought for our current autism services in New Brunswick. Harold L Doherty autism parent and advocate will also be speaking about autism parenting and autism advocacy in difficult economic times. The audience will be speaking. The floor will be open. If there is something you want to say, speak up. 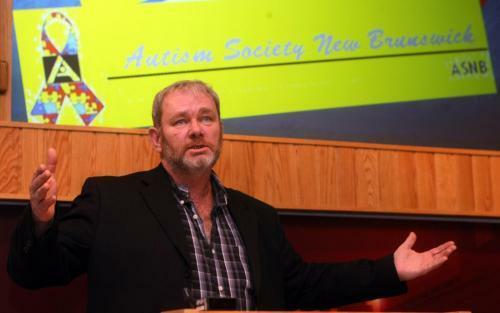 Dr. Paul McDonnell and Dr. Tara Kennedy will be speaking at the Autism Society New Brunswick Meeting Saturday January 15, 2011 10 am at the Wu Centre UNB Fredericton. 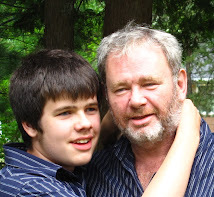 Paul M. McDonnell, Ph.D., is a Professor Emeritus (Psychology) at UNB and a clinical child psychologist with a private practice in Fredericton who has had a special interest in both assessment and intervention with children who have various forms of Autistic Spectrum Disorders. He chairs the UNB Autism Steering Committee and has been a consultant for the University of New Brunswick's Autism Intervention Training Programme since it began in May, 2004. Conor is a tremendous joy in my life. 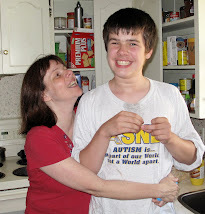 When I say he is a joy I mean HE is a joy not his Autistic Disorder. My blog sidebar, and many of my blog comments feature the tremendous joy and pleasure we find in Conor. But his Autistic Disorder is exactly that. It is a severe disorder which restricts and limits his life and, sometimes, poses serious challenges for his mother and me as his parents. Last night between 2 and 4:30 am was one of those times. Conor has been a bit out of sorts with the long school Christmas vacation. (Here in New Brunswick the students don't return until next Tuesday with the teachers taking a professional development day next Monday at the end of the vacation which they often do at the end of vacation periods). Last night around 2 am Conor woke up agitated and turning on televisions, computers and running around the house. He got worked up at one point and began hitting himself in the face and head and biting his hands. I tried to talk him down but he was too wound up last night. 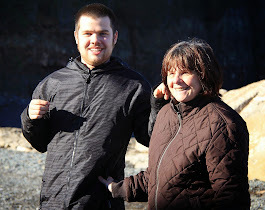 At a solid 6 feet Conor is strong and too much for Mom during some difficult times even though they are few and far between. Last night when I tried to grab his arms to keep him from hitting himself he lunged forward ... quickly ... and put a serious bite in my arm. You can see the result in the picture above, taken this afternoon. Today I attended at outpatients at the Dr. Everett Chalmers Hospital in Fredericton and received a tetanus shot and an anti-biotic prescription for infection. That last tetanus shot I received was 10 years ago after an incident coming out of a local grocery store when Conor bit the back of my hand causing blood to shoot up like an oil well causing a woman nearby to look very faint. Conor does not mean to cause harm. He is a great joy. 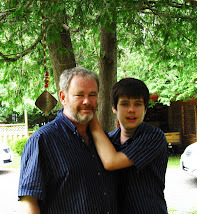 He is our buddy forever and he is worth every challenge we face from his Autistic Disorder and then some but there are times when it is tough, very tough, to be the parent of a severely autistic child. What Court of Law Convicted Dr Andrew Wakefield of Fraud? The "autism" news has been overwhelmed in the past 48 hours with news that Dr Andrew Wakefield committed fraud in conducting and publishing the MMR study which has since been retracted. I was aware that a medical society tribunal in the UK had found problems with the MMR study but I was unaware that a court of law, or governing medical society tribunal, had found Wakefield guilty of the serious offence of fraud. If anyone knows which court of law, or governing medical society tribunal, found Dr. Wakefield guilty of fraud could you post a link to this site please? 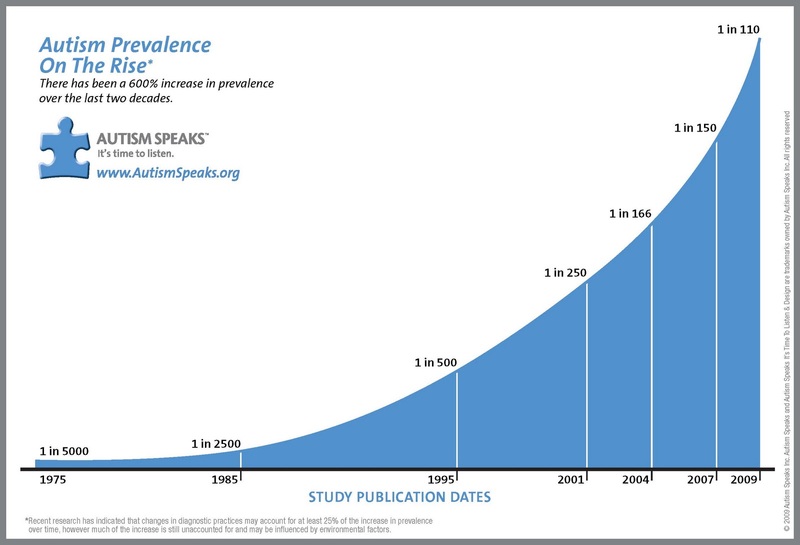 "Based on the above mentioned research, approximately 53% percent of the increase in autism prevalence over time may be explained by changes in diagnosis (26%), greater awareness (16%), and an increase in parental age (11%). While this research is beginning to help us understand the increase in autism prevalence, half of the increase is still unexplained and not due to better diagnosis, greater awareness, and social factors alone. Environmental factors, and their interactions with genetic susceptibilities, are likely contributors to increase in prevalence and are the subject of numerous research projects currently supported by Autism Speaks. The increase in autism prevalence is real and the public health crisis is growing. 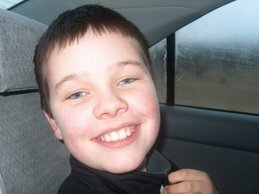 More families are affected by autism today then ever before." "The purpose of this workshop is to identify promising directions, priorities, and needs for better understanding ASD prevalence trends. The workshop will include presentations on what has been done to understand reasons for ASD prevalence changes, examples of understanding prevalence change from other conditions, and panel breakout sessions to allow for further discussions. This meeting is open to the public with pre-registration required by January 24, 2011 for US citizens and January 13 for non-US citizens." While Autism Speaks has been puzzling at times in its efforts to "speak" about autism disorders, promoting the careers of purported autism spokespersons who question the very existence of autism as a medical disorder, the importance of the above initiative can not be overstated. For far too long the "it's gotta be genetic" mindset has held sway and prevented substantial scientific exploration of possible environmental causes or triggers of autism. Hopefully the recent US Senate hearings, official statements by the IACC acknowledging the emergence of a gene environment interaction paradigm, the CHARGE study, work by Dr. Irva Hertz-Picciotto and UN Davis M.I.N.D. researchers, and efforts like the Autism Speaks/CDC prevalence workshop will lead to further environmental autism research; research which should have been commenced years ago.